The idea of adding power – other than human power – has actually been around for a while longer than you might expect. Internal combustion engines fitted to bicycles first appeared in the 1880s and actually proved a commercial proposition throughout the early part of the 20th century, not least because a tank of fuel would take you much further and more quickly than a heavy battery-powered electric bike. 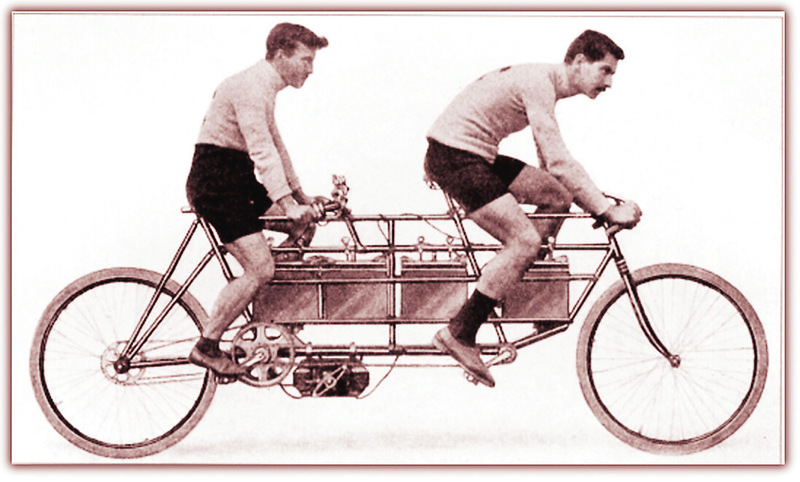 However, it was clear that the seed of an idea had been planted; as long ago as 1898 Humber produced a modified tandem with a huge bank of lead acid batteries, used as a pacer for the 24 hour Bol d’Or track race and the idea came up repeatedly throughout the 20th century, though all early attempts really lacked mass appeal. However, developments starting in the 1980s set electric bikes on an upward trajectory from which they haven’t looked back. Firstly, staggering Chinese economic growth created a seemingly insatiable demand for affordable personal mobility and the e-bike (albeit with heavy lead-acid batteries) gave commuters something close to the speed of a small moped, whilst avoiding the growing legal clampdowns on petrol power forced on city authorities struggling with traffic congestion and pollution. Secondly, and rather more importantly for e-bikers in the west, around the early 1980s several e-bike developments emerged that paved the way for later success. 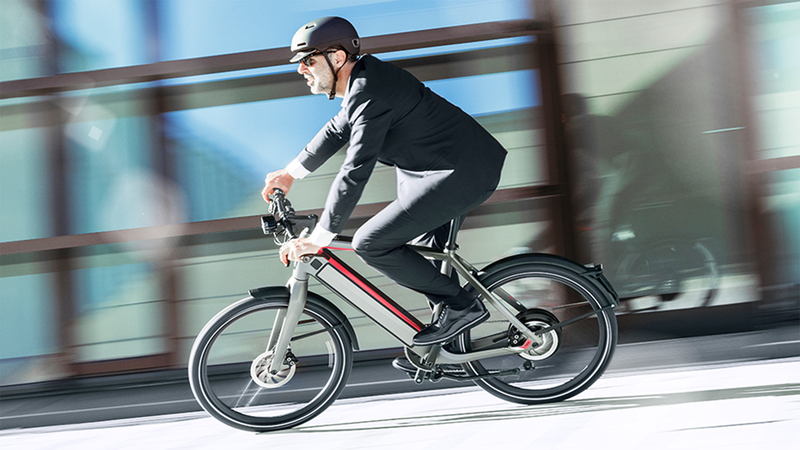 Lighter battery technologies, more powerful motor magnets, the miniaturisation of electronics, the development of torque sensors (allowing electric bikes to be used in the same way as conventional bikes) and legal recognition of this new breed of transport, would all eventually lead to lighter, faster and more ‘bike-like’ e-bikes and a sharp increase in sales. Despite such advances in the 1980s this new technology still took time to develop and filter through commercial channels. At the turn of the 21st century electric bikes in the UK were still undoubtedly seen as uncool. Many still featured large lead-acid batteries (these had to be large to give anything like a decent range) and early lithium-ion batteries just beginning to appear on e-bikes were plagued by unreliability. Ni-MH batteries were a good compromise at the time; safe, reliable and longlasting and with nearly three times the energy density of lead acid, but doomed to the dustbin of e-bike history once more reliable lithium batteries (with around twice the energy density) came along. E-bikes were still clearly a different breed of machine to non-assisted models. Take one of the best-selling 1990s models, the Powabyke Classic: a rebranded Chinese machine, it weighed a staggering 36.6kg and its range of 20-30 miles was considered quite an achievement when many other machines went around 15 miles on a full charge. Today the weight of e-bikes are generally nearer 20kg than 30kg and the typical battery range has more than doubled. Take Cube’s 2018 Stereo Hybrid 120 model which is a sub 22kg model with more than twice the battery capacity of the early Powabykes and a performance capability that is simply on another planet. Clearly the vital statistics that potential e-bikers found acceptable had been reached and sales really begun to take off. 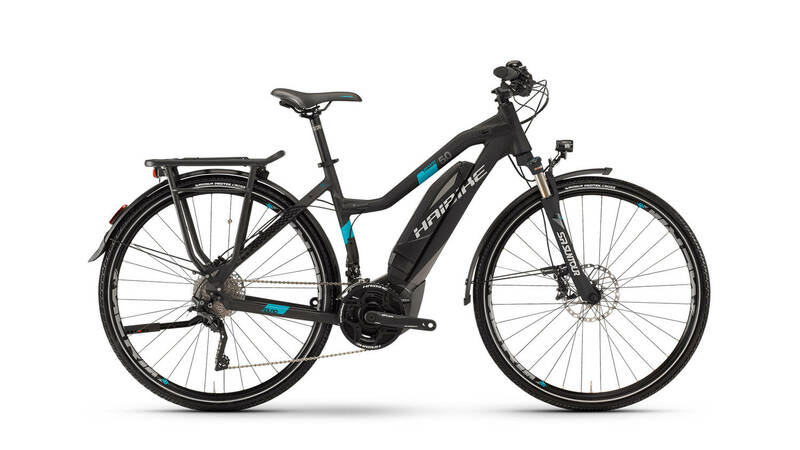 Crank motor power now entered something of an ‘arms race’ with Bosch launching its Performance Line motor in 2013 alongside the less sporty Active Line model (the latter was aimed at more sedate style city bikes). Although all genres of street legal e-bikes were still limited to 15.5mph it was now how fast they got there that was important. Soon Bosch had some serious competition in the e-MTB crank drive market. 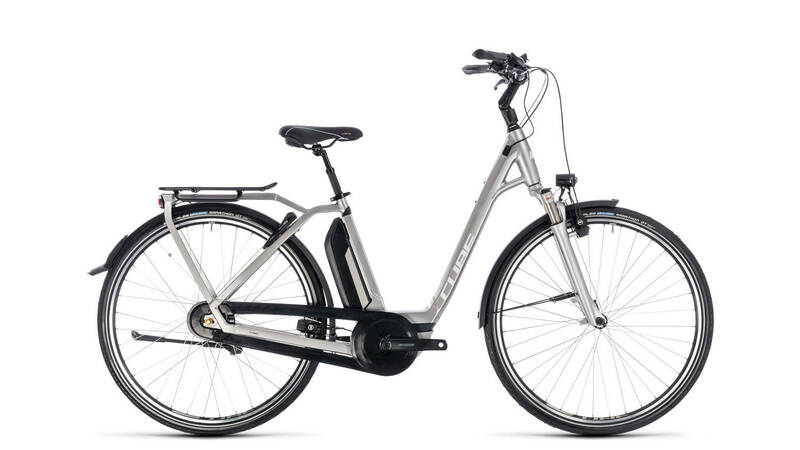 E-bike pioneer Yamaha launched a totally new crank drive model, the PW, in 2014 and the same year also saw German automotive manufacturer Brose launch a very punchy motor which, like Yamaha, now appears on quite a number of bike brands. Shimano had their own crank drive from 2012 and upped the power stakes in early 2016 with the launch of their E8000 variant specifically for e-MTBs. Hub motors still appear on plenty of budget electric bikes, nor are they an entirely extinct breed when it comes to e-MTBs, though very rare. One premium brand that has fully exploited the potential of the gearless hub motor is Swiss firm Stromer, famed for their high tech approach (the so-called Apple computers of e-bikes) and a powerful and virtually silent hub motor system. Whilst there don’t appear to be any quantum leaps on the immediate horizon, no doubt technology will carry on developing to enable electric bikes to become at least just a little lighter. Currently anything edging towards 20kg (particularly if it has a decent sized battery and full accessories such as lights and mudguards) is highly respectable. 15kg and below indicates either a small battery, minimal accessories or possibly superlight and accordingly super pricey materials. One definite advance from 2018 will be larger capacity cells (cells being the constituent parts of a battery), a development driven in part by the upping of demand from US e-car company Tesla. Look out for 700Wh batteries as standard (currently anything above 400Wh is quite respectable). Lightweight e-folders are a very rare breed – the internet is full of claims for apparently lightweight e-folders that are either ‘concept’ bikes or look to be virtually unrideable. Are any real practical contenders for the title in the pipeline? Whilst the technology exists to make something light, folding and electrically assisted, cost is one of the main issues; many e-folders are no lighter than their non-folding electric cousins. 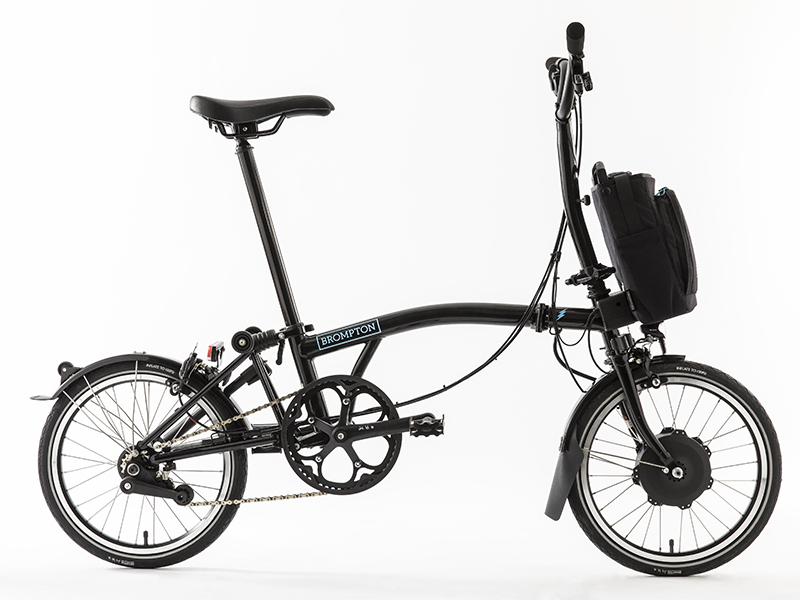 One encouraging sign is that king of the folders, Brompton, have just announced that 2018 will see an electric version on limited sale in the UK. A bike with a quickly and easily removable motor and battery would have the advantage of effectively being two bikes – electric and non-electric – and this idea looks like it might just be coming to fruition after Focus teamed up with Fazua in 2016 to showcase a system that looked to fit easily on and off the underneath of a bike. With large capacity modern batteries there is now also the chance for ‘excess’ electrical power to be used for other functions such as charging your phone or powering a bar mounted internet and GPS capable display unit that can put all kinds of riding (and other!) information at your fingertips. Bosch launched its smartphone compatible NYON display a couple of years ago but the system that is grabbing a lot of the current headlines puts the rider’s own smartphone at the heart of the bike itself. COBI integrates phone, bike lights, brake lights, indicators and mapping software all in one ‘bike control and information system’. COBI are rolling out the system’s features incrementally, working with the likes of Bosch but also selling it as a retrofit option for e-bikes and regular bikes. Looking much further ahead could electric bikes mimic the current trend amongst car makers and become self driving? This might not be as far fetched as it sounds as some e-bike models are already semi-autonomous with the rider having to do little more than pedal, steer and brake. Various gear systems have been developed in cooperation with the motor manufacturers which aim to predict the optimum time to change gear – and to do it for you electronically. One example of extremely smooth electronic shifting is Shimano’s Di2, now available with some Bosch motor bikes such as the Cube Town Hybrid EX500 Di2. Ultimate place in the cleverness stakes though goes to the Nuvinci H-Sync which is both continuously variable (i.e. no actual steps between gears, there is just a ‘spectrum’) and changes automatically based on the rider’s cadence. Sensors also exist and are currently incorporated into some electric bikes that can detect steepness of gradient, sending a message to the motor to increase power automatically. Many of these technologies however, although available commercially, still appear to be at the ‘early adopter’ stage.